In Distributor Variable Speed Drives. Drive Systems consistently embrace innovation to provide a superior level of variable speed drives. The "self propulsion" lottery is replaced by a constant torque gear motor unit, fed from a variable frequency inverter giving speed adjustment and driving a ring which is clamped to the distributor arms and located in the centre well. 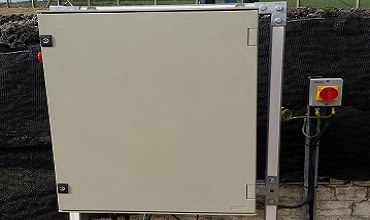 We can provide, as an integral addition to our control system, monitoring of the distributors rotation with an additional volt free telemetry output indicating that distributor rotation is satisfactory, or has failed. Provision is made for automatically reverting to jet reaction propulsion should the electricity supply to the control panel fail, thus ensuring continuous treatment, albeit at the natural jet reaction speed. 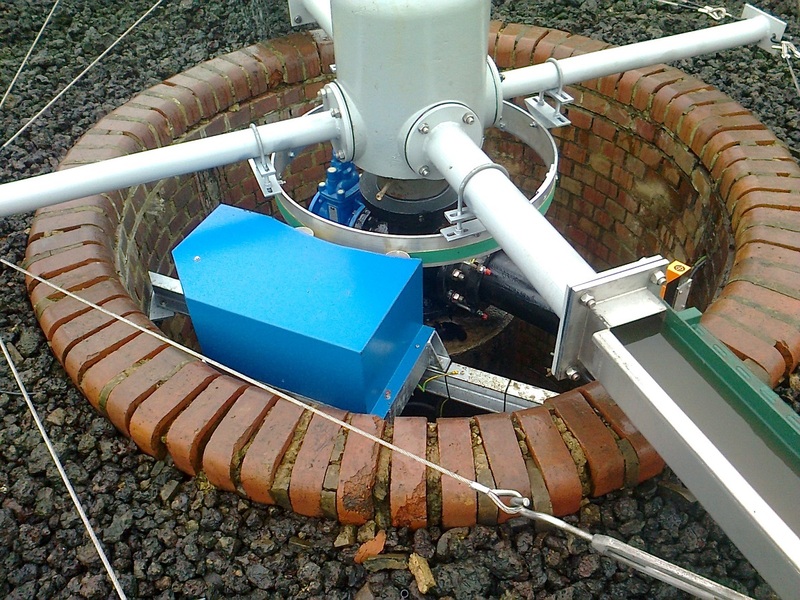 Our drive system is specifically engineered to provide reliable and robust performance combined with long life expectancy in line with Water Industry expectations. Energy consumption of our distributor drive systems is very important to us, and to you, and we strive, at all points of the design and installation process, to minimise the energy cost of running one of our distributor drive systems. 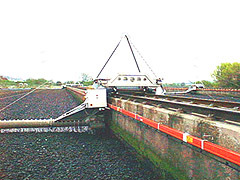 We have developed systems to solve the problem of driving rectangular filter bed carriages. Whether rope hauled or independently driven we have a proven solution for you. 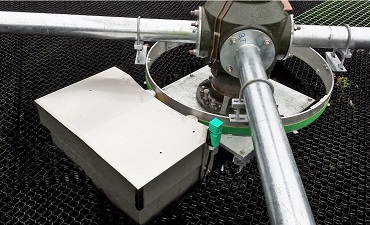 Driving the distributor at very low speed (1-2 revolutions per hour) for control of flies with means of reverting to a higher speed for selected periods for increased retention time. Constant loading of the bed by varying the distributor speed in proportion to flow in to the works. 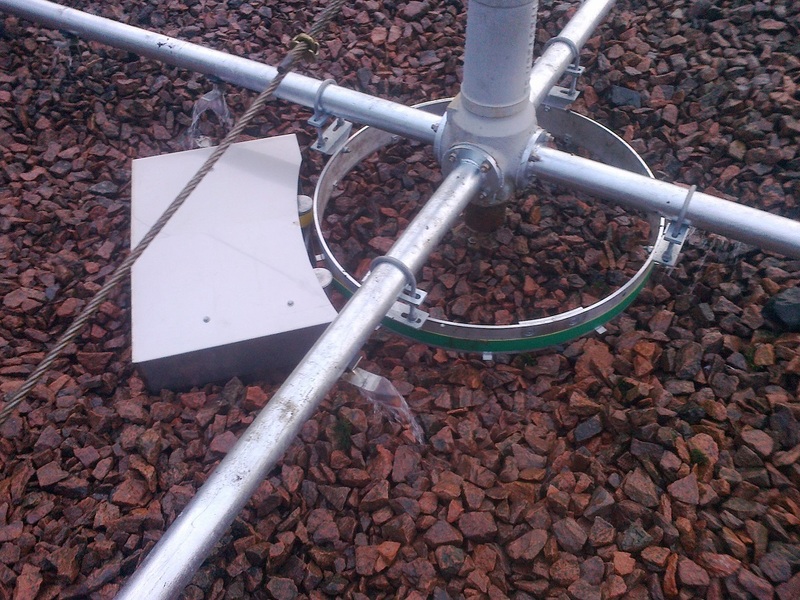 Rotational sensing to indicate to telemetry if the distributor has stopped rotating. Alternative speed ranges to suit specific SK requirements. Extra control functions as specified, such as access door safety interlocks. 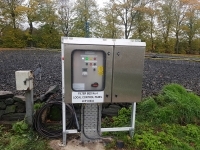 Backup power supply to maintain distributor drive through mains power outages. 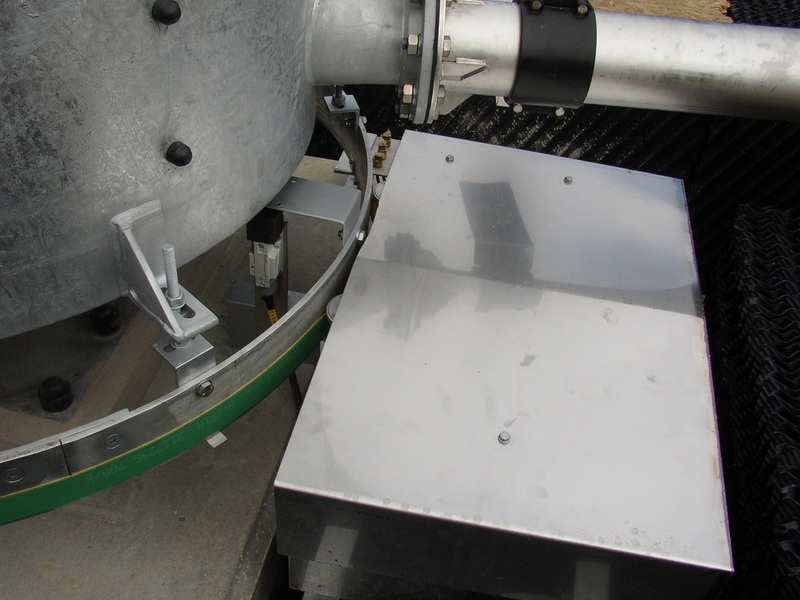 A positive and continuous drive removes the risk of the distributor stalling. 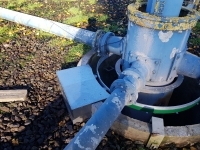 Effluent Treatment is not left to chance and consent compliance is therefore maintained. Reduced biomass improves oxygen transfer. High flushing intensity ensures fly larvae are suppressed. 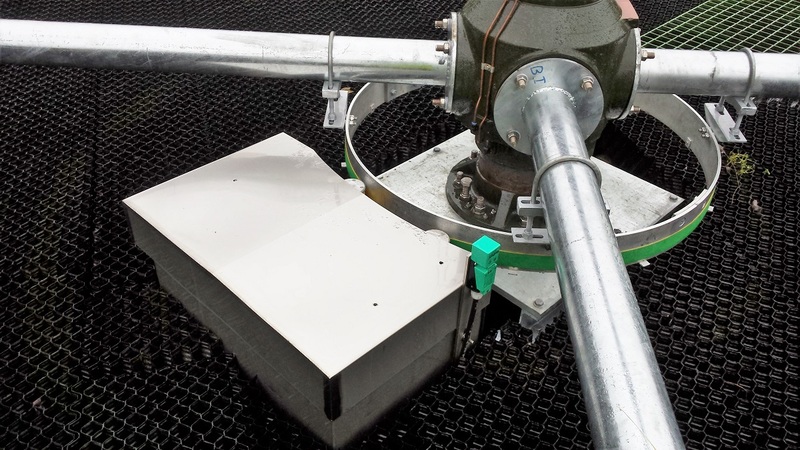 A continuous drive reduces ponding on the filter bed media surface. A drive system prevents high rotational speeds thus eliminating unnecessary wear and maintenance. With over 30 years experience and having supplied over 1500 distributor drives we are the specialists you can depend on. The drive is generously rated in all respects and is equally suitable for use on all sizes of percolating filter beds at present in use. The torque transmitted to the rotating arms is fully adjustable by means of regulation of the air pressure applied to the pneumatic tensioner. Speed of Rotation Adjustable from 3 to 15 revs. per hour. as standard. Other speed ranges can be provided for specific requirements. Reduction Gearbox Planetary type. grease lubricated for life. 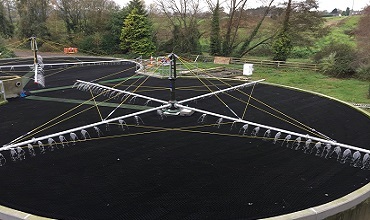 Filter Bed Diameter Up to 53 Metres. 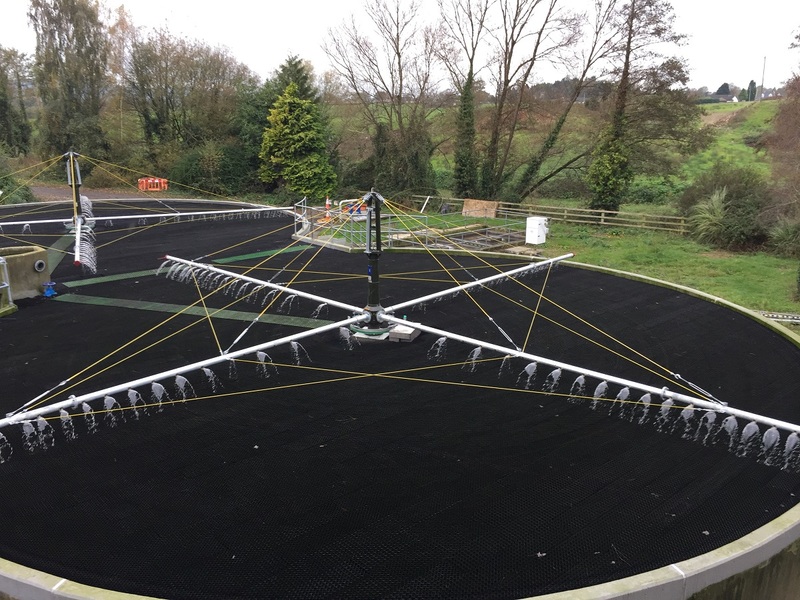 For larger filter beds please contact the office. We are one of the leading drive systems companies providing the highest quality products, services and solutions to our customers. For all your Sales Enquiries, Product and Technical Support either fill our short feedback form or send us an email and we’ll be in touch shortly. Alternatively call us on (+44) 01772-703222 to discuss any immediate requirements with one of our friendly team. Over 30 years experience and knowledge of manufacturing variable speed electrical control systems. 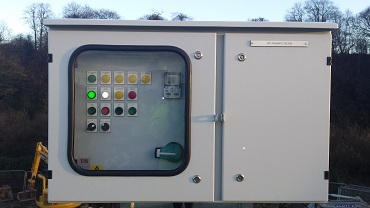 We provide fixed and variable speed drives, control panels and will commission and install both the mechanical equipment and electrical supplies, as required. Please do not hesitate to contact us for all your variable speed electrical drive requirements.